And plz tell me if I could repost it. Omg ……all of ur poetries are really very nice …….👌 So nice to read it. Took the midnight train going anywhere… For some reason this put Journey in my head. I want to be on that train. When things become tough, the thought of a train that will take us away from all pain acts as a soothing balm. I love it. It instantly reminded me of the movie Inception. Wonderful posts. Your writing style is beautiful and the words are magical. Keep writing. BTW if u have time, do check out my posts and u may hit the follow button if u like them 🙂 Looking forward to read more of your posts!! I needed that train of yours. Lovely. That is really good, Frank. Thank you for these words. Kenza. I love this, reminds me of The long black train! Swing low … that coming train. 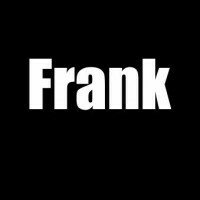 Songs come to my head on this one Frank… This Train is Bound for Glory… The Long Black Train…and Freight Train…. Love your poem.